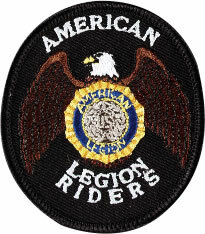 Currently, over 110,000 American Legion Riders meet in over 2,000 chapters in every domestic department and in at least three foreign countries. Riders in Iowa have formed an honor guard called The Five Star Freedom Riders, and Riders in Mulvane, Kan., founded the Patriot Guard to protect the sanctity of military funerals from protesters. Riders in all states have escorted military units returning home from combat tours overseas, conducted massive cross-country fundraising events for wounded warriors from all services, and have raised millions of dollars for countless local, state and national charities. Many Riders, supported by their departments, conduct annual statewide Legacy Runs in direct support of American Legion scholarship programs of Operation Comfort Warriors (OCW), supporting our wounded service members across the nation.